Cabling Canada has year of fibre optic cabling installation services experience across a range of businesses including industrial units, commercial plazas, large offices, education institutes and even halls and sport centers. We are one of the top fiber optic installation companies in the Toronto area. Fiber cabling is recommended for faster data transmission and comes very handy where wiring distance exceeds 300 feet or approx 90 meters. We carry the latest equipment for fibre optic installation and splicing services and all our cabling technicians are highly experienced to run these fibre cables at all kind of environments. We also provide Fibre optic testing and certification, giving you proper test results making sure the installation is upto the mark. Contact us for all kind of Fiber Optic Installation Services, whether it is new installation or you need Fiber optic repair or even if you want to add additional runs to an existing site. 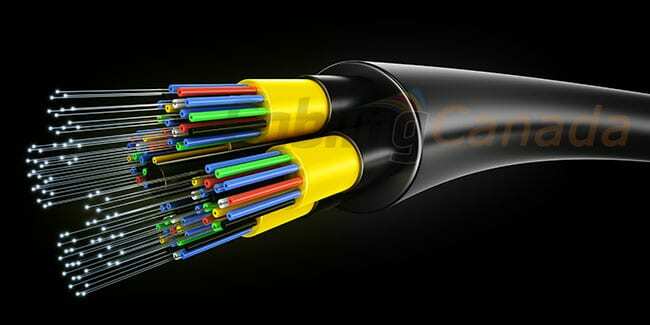 We install and terminate all types of Fiber Optic cables. 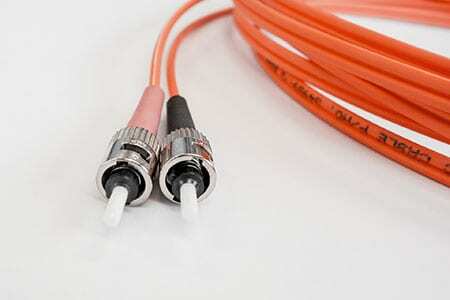 We install and supply fiber optic network cabling in single mode OS1 and multi-mode OM1, OM2, OM3, and OM4 fibre optic cables. Single Mode Single mode fibre is used to connect long distance runs usually to connect buildings. This mode of Fibre is bit expensive to run but is an ideal choice for huge data transfer over long distances. Multi Mode Fiber is an ideal replacement for copper or Ethernet Cabling. These fiber Cables runs are ideally used where distance of copper cable exceeds 300 feet. Multimode Fiber can provide 10 Gigabit Ethernet (10Gbit/s) at distances of up to 300 meters. Whether you need to run a a fibre optic backbone or simply need Fiber termination and splicing, we have the right tech for you. We carry all fiber termination and splicing tools and provide you proper test results to ensure you get the proper network bandwidth without a compromise.